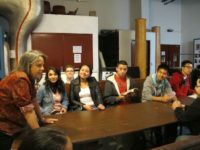 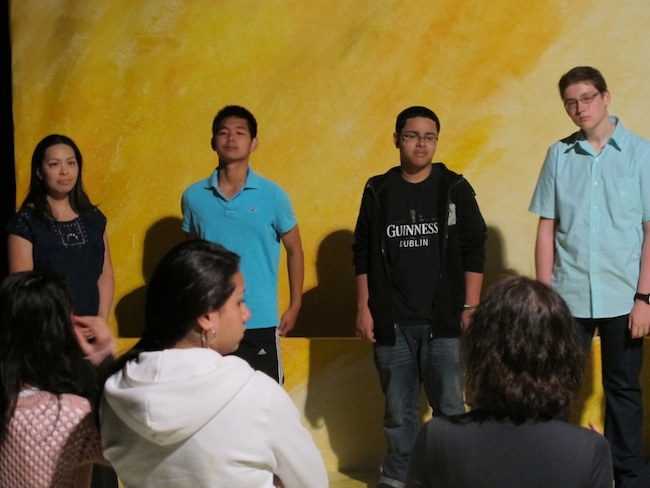 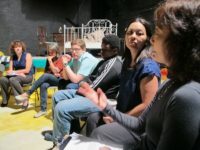 Each year playwright, Bard College professor and Radcliffe Fellow Chiori Miyagawa leads students in a theater workshop based on the testimony of a survivor. 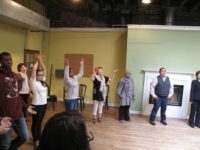 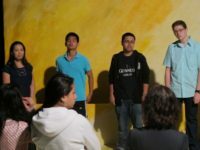 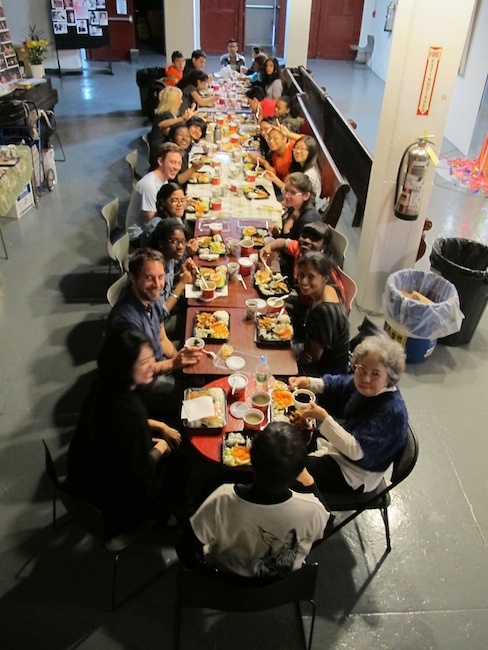 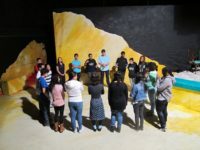 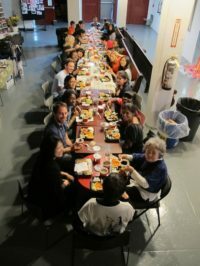 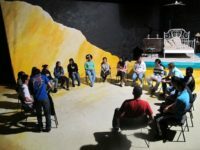 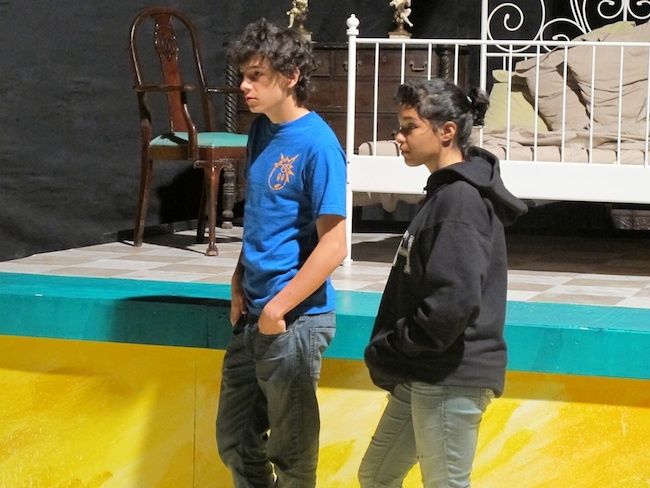 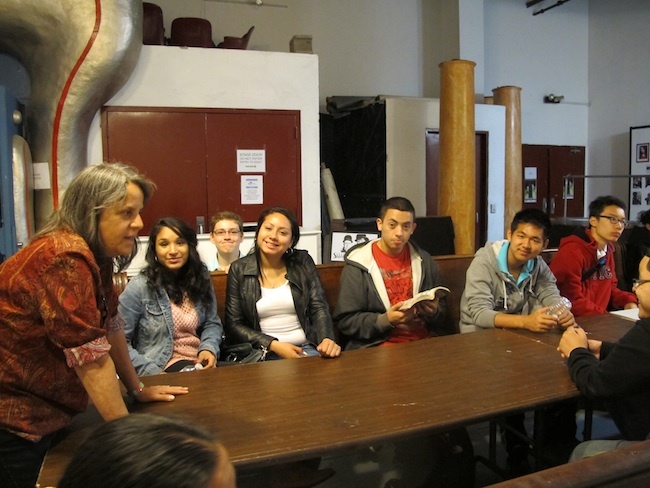 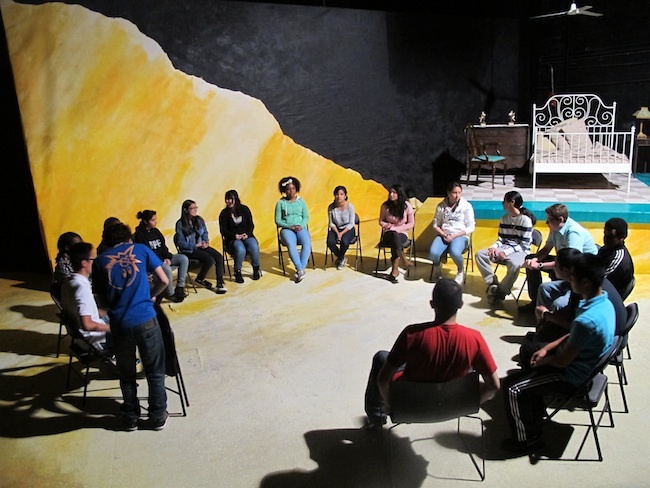 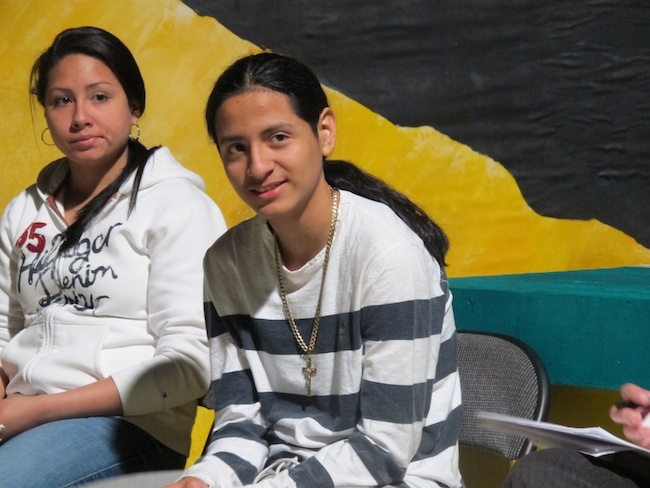 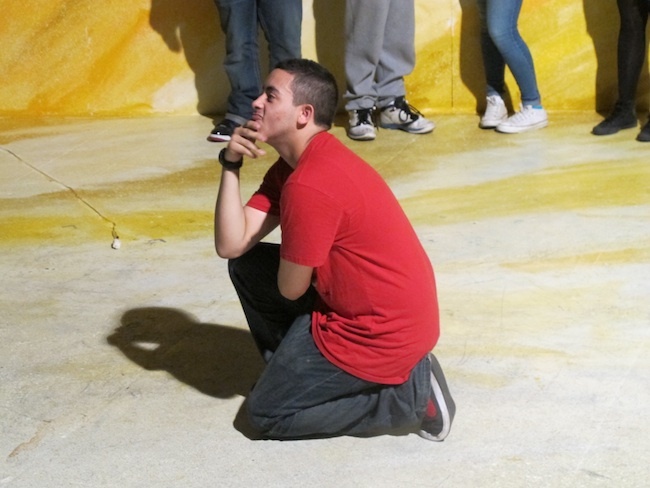 The workshop is a collaboration with the education departments of two East Village theaters – New York Theatre Workshop and Theater for the New City. 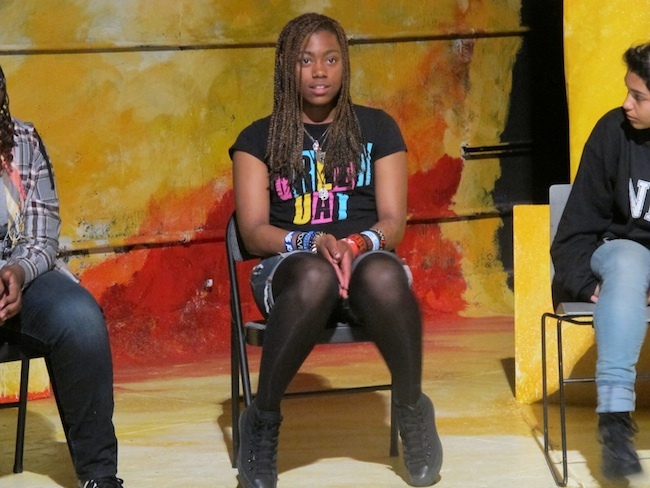 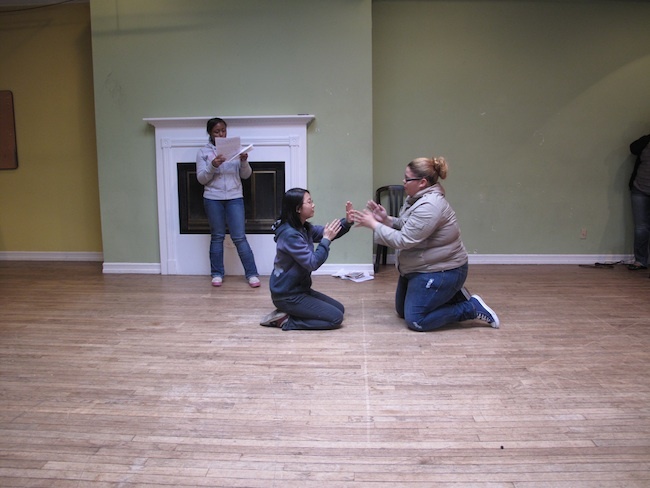 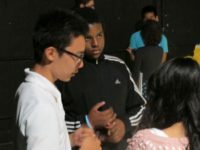 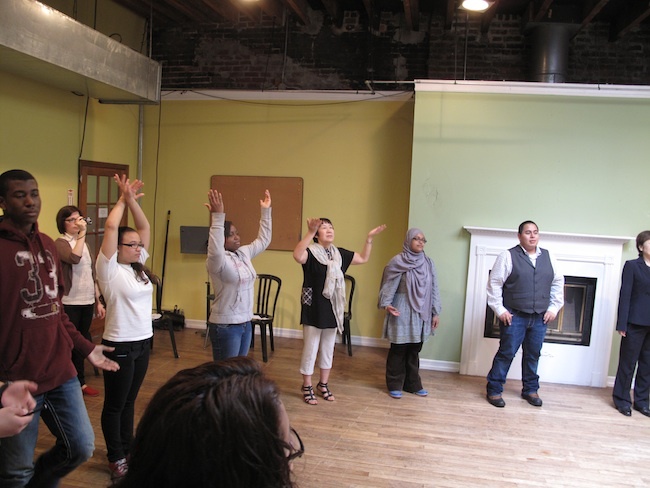 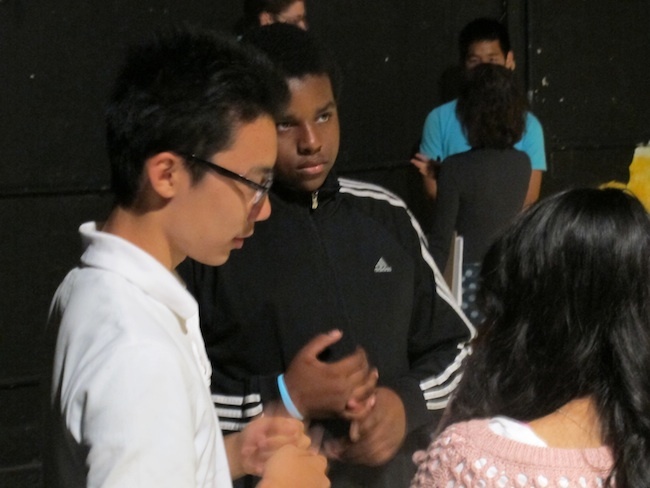 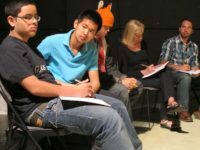 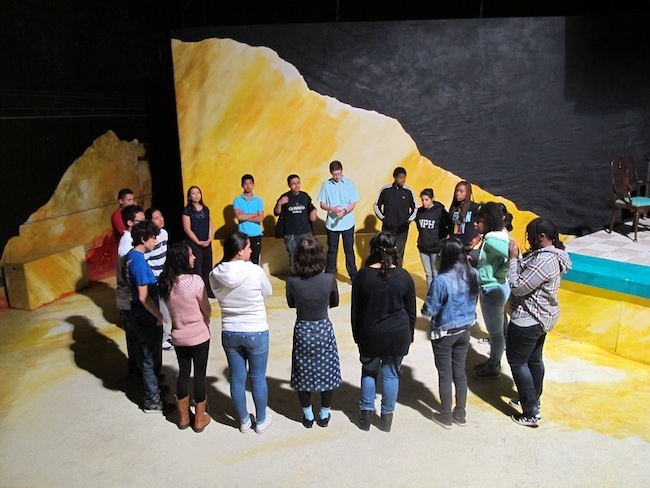 Miyagawa and directors Tamilla Woodard and Sophia Skiles lead writing and movement exercises and then divide students into small groups where they write monologues, develop characters and setting and prepare and perform a monologue of their creation. 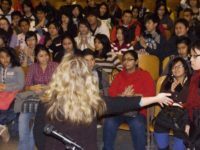 The first year we were hosted by the High School for Telecommunications in Bay Ridge, Brooklyn.